We tend to take note of anything perpetually glowy-skinned supermodels like Miranda Kerr and Molly Sims swear by, even if it's something as mysterious as dry brushing. Chances are that you've heard a little about this centuries-old beauty ritual, which has been taking Hollywood by storm for years. 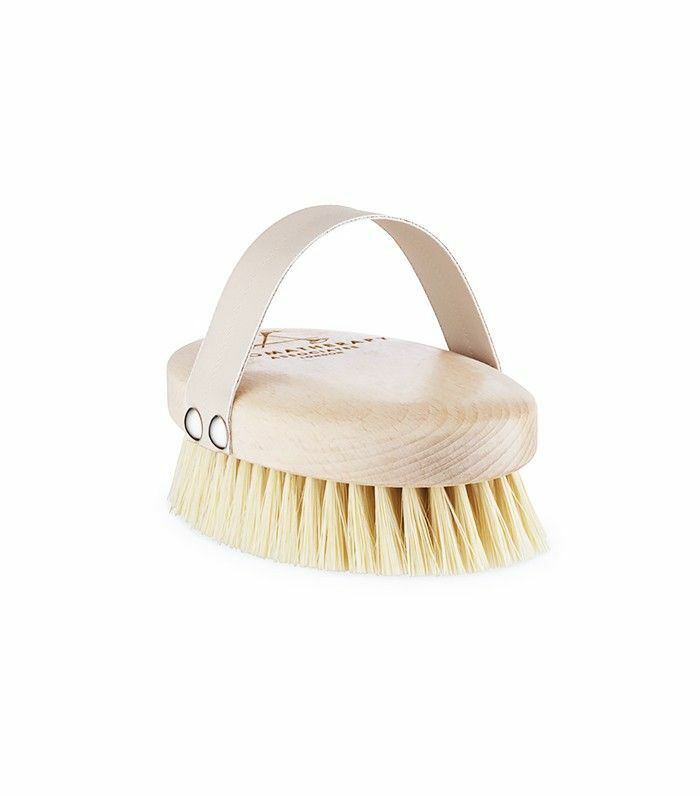 Is dry brushing the key to unlocking beaming, beautiful skin? Can it actually improve your overall health? 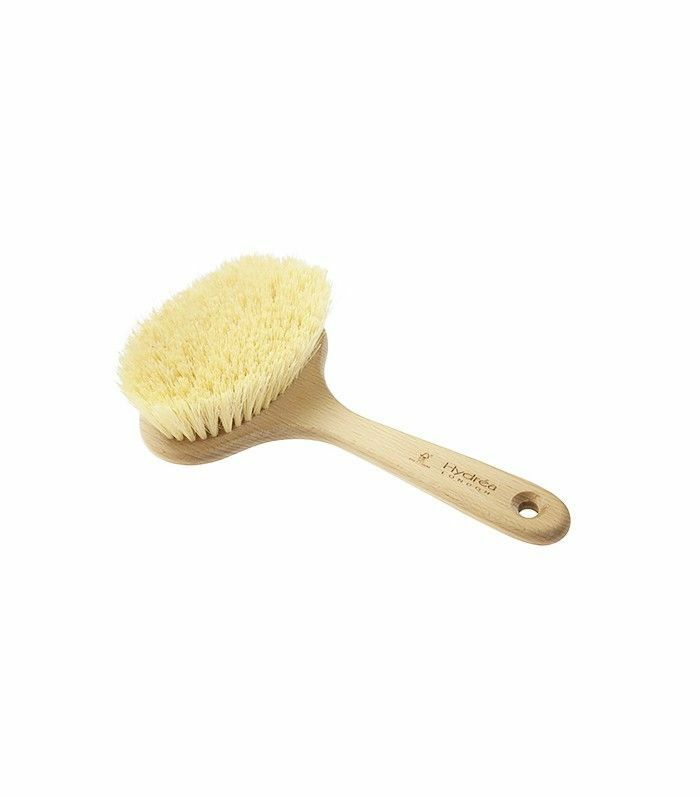 Instead of blindly grabbing the first brush we could find and scrubbing away, we enlisted the help of Gary Dickman, former lead esthetician at Ole Henriksen Face/Body Spa in Los Angeles, and dermatologist Jeanine Downie, MD, to fill us in on the benefits of dry brushing. Namely, whether or not it can actually get us Miranda Kerr's effortless, natural glow. 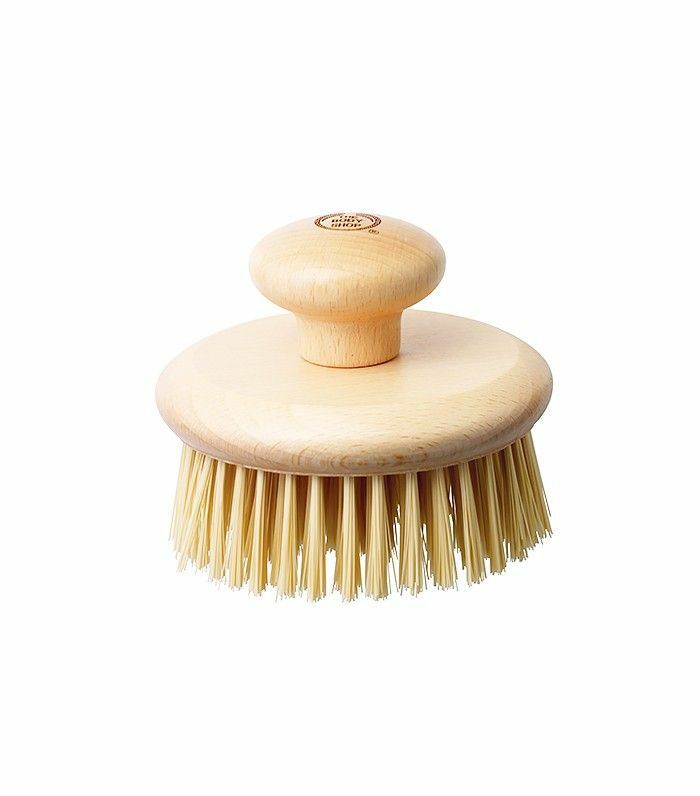 Keep reading to find out all the beauty benefits of dry brushing. Plus, shop our picks at the end. What exactly is dry brushing? Basically, dry brushing is… pretty much just what it sounds like. You take a body brush (look for one with firm, natural bristles) and use it to gently massage your body in an upward motion. Dickman says this process brightens the skin and also makes your moisturizer more effective, as it sloughs off dead skin. 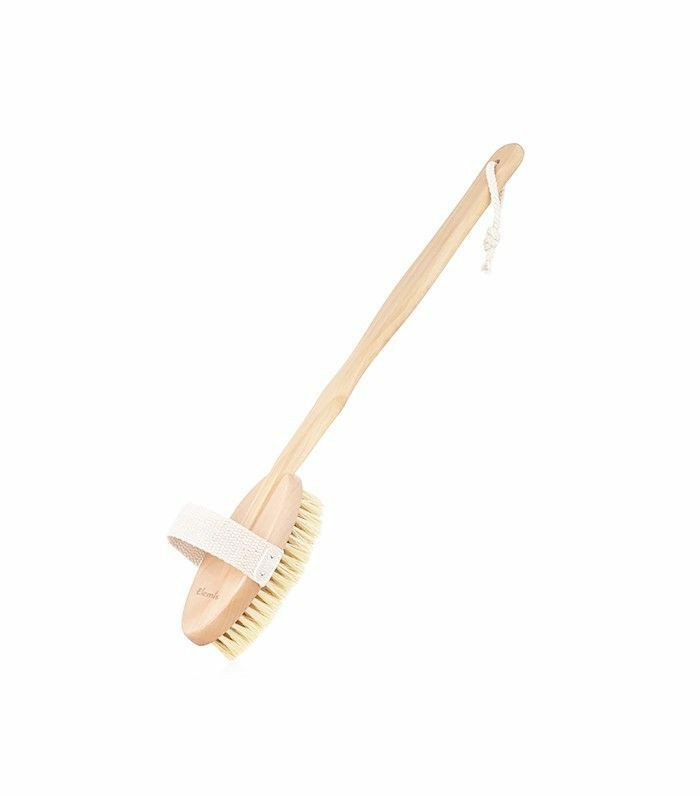 Randomly scrubbing a brush all over your body and calling it a day isn't going to get you the skin benefits of dry brushing (not to mention that sounds super painful). To dry-brush properly, first make sure your skin is completely dry. Starting at your ankle, move your brush over your skin in long, circular motions that go upward toward your heart, Dickman says. Keep in mind that you're not at a Korean spa—a slight, firm pressure is all you need. You can dry-brush at any time of day, but Downie recommends doing it right before you shower. After you rinse off, slather on a moisturizer like Aveeno Daily Moisturizing Lotion ($8) or Lubriderm Daily Moisture Lotion ($7). 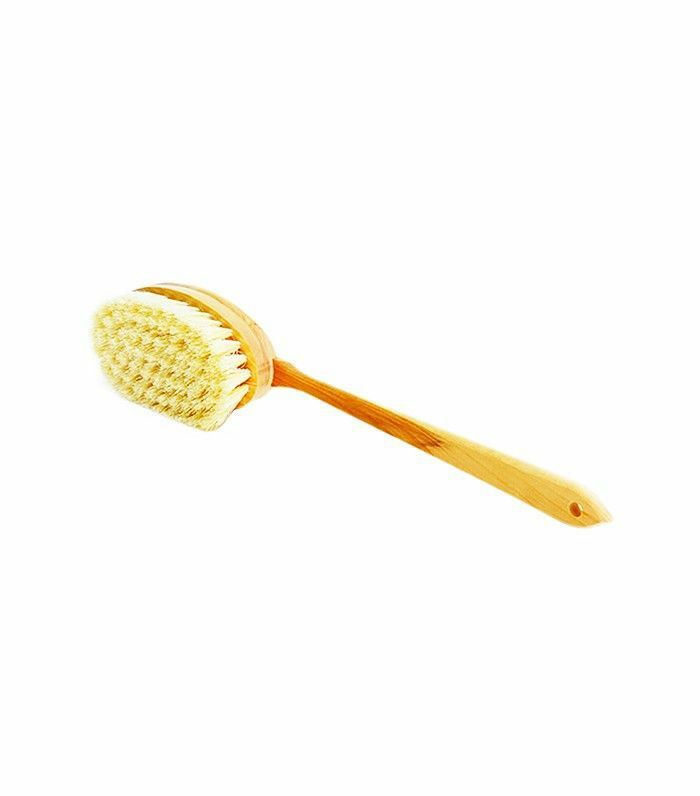 Aside from leaving you with glowing skin (as if that weren't enough), dry brushing can help boost circulation and lymphatic drainage, says Dickman. Some people swear their cellulite is less noticeable after dry brushing as well. Downie notes that it can even help with the appearance of sun damage. 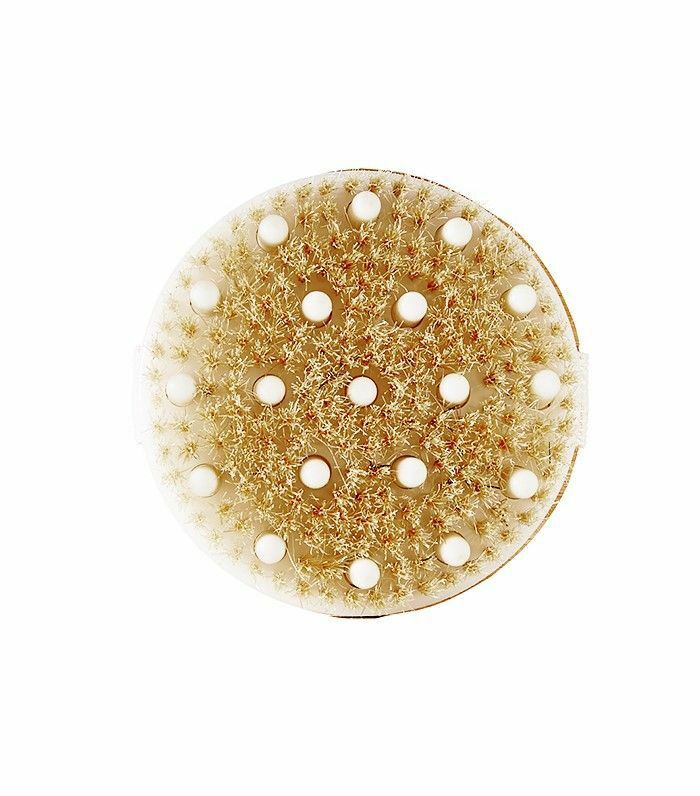 Since dry brushing can leave your skin feeling a little raw (it is total-body exfoliation, after all), it's up to you to decide how often you can do it. As a general rule of thumb, Downie says that women with ultra-sensitive skin should only dry-brush once every couple of weeks. For everyone else, she recommends one to two times per week. And don't forget to wash your brush with baby shampoo at least twice a month (because, ew, think of all the dead skin that builds up). "If you are dry-brushing, you must use sunscreen, as dry brushing makes you more sensitive to the sun," warns Downie. So be sure to slather on your SPF before heading outside. Our favorite body sunscreens are La Roche-Posay Anthelios 60 Ultra Light Sunscreen Lotion Spray ($36) and Neutrogena Ultra Sheer Face + Body Stick Sunscreen Broad Spectrum SPF 70 ($6). This story was originally published on July 24, 2014, and it has since been updated. What Are PRP Injections? Everything You Need to Know About Natural "Fillers"